November 30, 2015 March 31, 2019 - The 'Noms. 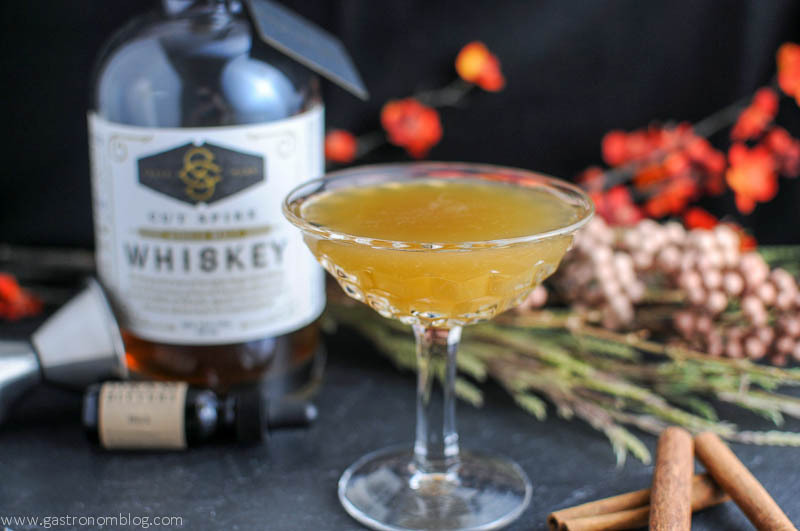 A perfect whiskey cocktail for the fall! Cheers to this honey and whiskey cocktail! Cold winter nights can make a person yearn for warmer climes, and any drink that can evoke some images of warm exotic locations like tropical islands or the spice markets of the Mediterranean. 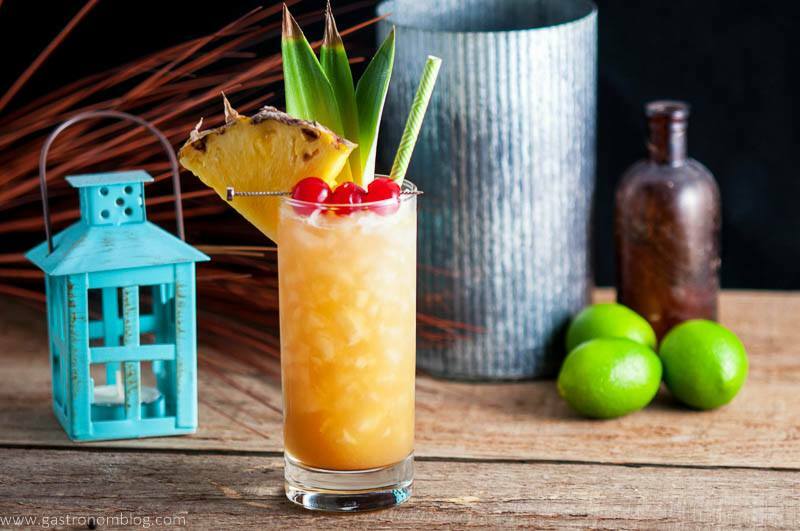 This drink does both, combining the tropical sweetness of pineapple with the spicy warmth of a spiced honey simple syrup. Add in a dram of whiskey and before you know it, some of those winter blues will slip away! 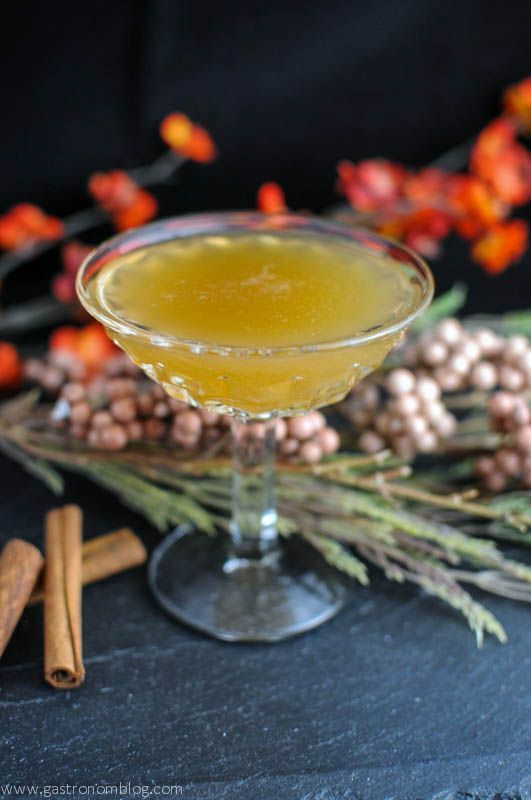 We used the same spiced syrup that we used in our Holiday Honey Punch, which has a sweet and spicy warmth that brings a great complex sweetness to the drink. 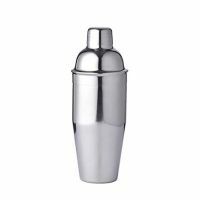 Adding in some great Cut Spike Single Malt Whiskey makes this drink a fantastic winter sipping drink! 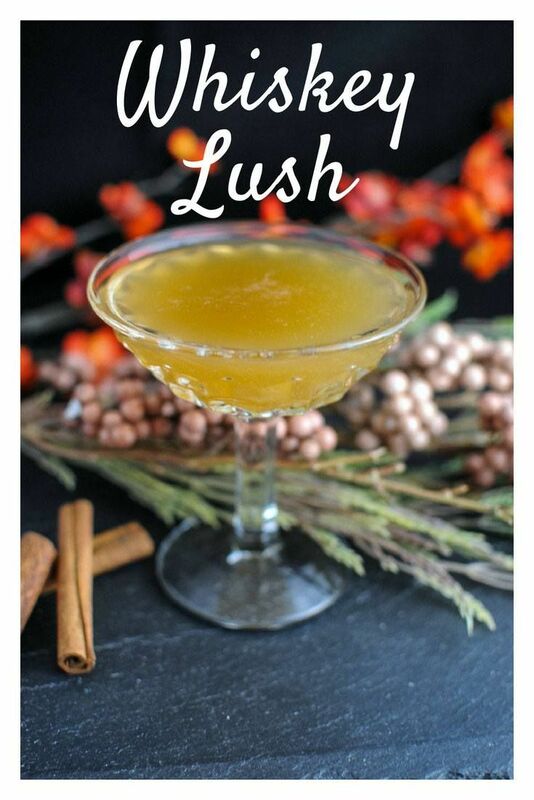 What Ingredients are Needed for the Whiskey Lush? 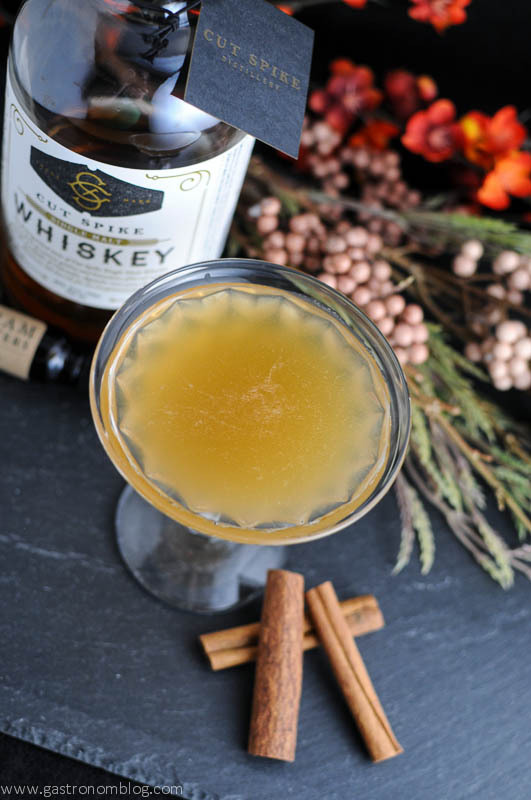 A perfect fall whiskey cocktail with spices and honey. Shake well and strain into a coupe. 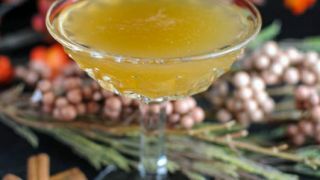 PIN THIS WHISKEY LUSH RECIPE FOR LATER! This sounds really good. I’ll definitely be needing one on our cold Wisconsin winter nights. Oh, it would be a great way to warm up! As we have snow on the ground right now, I understand! 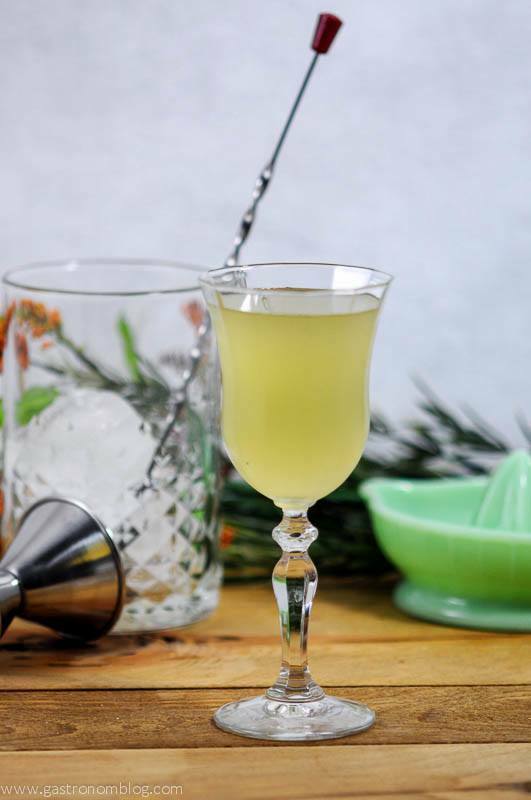 Whiskey and pineapple juice – sign me up! Ha! It’s a great combo! Ooooo this sounds right up my alley! Never would have thought to pair whiskey & pineapple juice together, but now I’m going to have to. Thanks for stopping by! The juice and whiskey together is a great combo! Cheers! Yum! I could use one of these today! This sounds tasty. I like finding new drinks for the holidays with the family. It would be perfect for the holidays! Cheers! This drink sounds phenomenal. 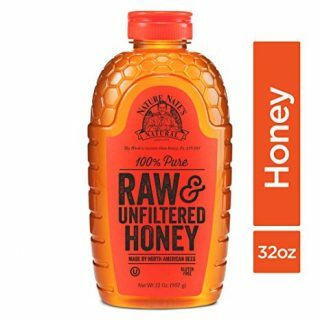 Spiced honey simple syrup – yum!!!! Thanks! It is very Christmas-y! I was looking for a recipe to use up the last pineapple from Maui – this one looks like a winner!!! Ooohh….pineapple from Maui!? Yes, please! Cheers! This looks so good and perfect to make for the holidays! Thank you! It would be perfect for a holiday party! I am not a huge fan of whiskey but I can drink bourbon, like my hubby drinks, if I can cut it with some fruit juice! 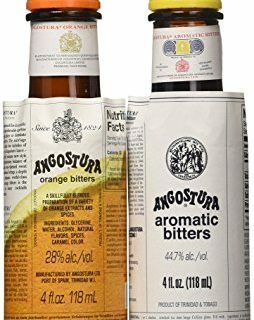 I am interested in trying the bitters! It’s not overly whiskey strong, you could totally use bourbon! 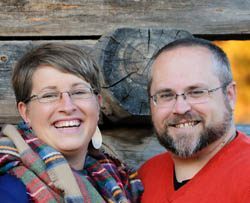 The bitters are amazing – from Colorado, we bought all 5 that they offer – they are fantastic! Sounds tasty! I’ll have to try for my holiday parties! Thank you! 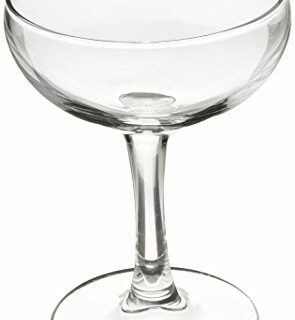 It is a perfect holiday cocktail!